I wish that everyday I could learn something new. Or, more specifically, I wish that everyday I could learn something new and retain it! Is that a sign of getting older or what? One of the many things I have learned from my Emery, and others, is that I used to draw a line in the sand when debating a topic and it would put people off wanting to talk to me or debate. It is something that we all do at some time, and I try to work on it. There are times when I slip up. A few weeks ago I thought I was right about a certain topic at work, and stated what I thought was a fact. Well, I was wrong. Or, at least the way I put it, put noses out of joint. So, today when I saw this image over at Reddit, I thought it would make for a good blog post, and give me a moment to reflect on how open or close minded we choose to be. If there is one thing that I need to remember is that for a person to grow and learn, they need to be open minded. It is something that I need to remind myself from time to time. In the image above, I used to state harsh opinions much like the gnostic atheist. “I know this is a fact. You are wrong. I am right”. And so on. On New Year’s Eve a few years ago, I had the privilege to share the time with a couple whose son played with mine. Herman was the dad’s name. He was soft spoken, but incredibly intelligent. You know those people that you meet, that when you ask them what they do for a living, their description goes way over your head? That was Herman. Herman was religious though. On this faithful evening, for whatever reason, the topic of my atheist blog came up. I knew that we disagreed, however he was open to the possibly that what he believed was wrong. Why did this effect me? It showed me that if you are open to other possibilities, or at the very least think that there is a slight chance you could be wrong, then let it go. Herman did. By saying that I was probably right, what he was really showing me was that I should also consider that I may be wrong too. The truth is that no one knows if there is a god, or that in fact there absolutely is not a god. So why battle about it? Herman left the possibility open that he was wrong too. He still lived his life the way he wanted. This is one of the reasons that I consider myself an agnostic atheist now. I believe that there is no god. I live my life like there isn’t. I don’t stress about it. It is what I believe. You will not likely be able to ever convince me otherwise. However, I am open to listen to other points of view, if they are willing to as well. My post yesterday about the Jehovah Witnesses is a perfect example of unsuccessfully attempting to debate a gnostic theist. Someone that is unwilling to acknowledge that there could possibly be no god, and that they could be wrong. And that because I don’t believe in the same thing, I will go to hell. One thing that very few people know about me and my future bride, is that we started out our friendship on a pretty bad footing. We worked together. And we had a fight. I thought I was right, and so did she. We both (unexpectedly) got quite upset about having had this altercation! Em went off to her manager, and so did I.We realized that we valued each other and had more in common than we had thought, and started talking about our blowout. We developed a strong bond after that. A strong friendship. Our little inside joke was “You’re not as bad as I thought you were…” Em taught me to look past the argument, and look at the person. Thank you Emery, Herman and various others for helping me realize that drawing the line in the sand is not a good way to set the tone for friendships or relationships. Where do you sit on the chart? Gnostic Theist? Agnostic Theist? Gnostic Atheist? Agnostic Atheist? How close minded are you? What lessons have you learned that changed your perceptions? I think its much more interesting to be open to other belief systems and cultures. I get really turned off when people are adamant about their opinions. For instance, I don’t like it when there is intolerance in Christianity, but I also don’t like intolerance for Christianity, which these days is very unpopular. Why do we have to strive for being right or wrong anyways? There is always the possibility for us to be both right and wrong. In my family, I have Buddhists, Taoists, Conservative and more liberal Christians, New-Age Spiritualists, and now Agnostic Atheists. I also have friends that have converted from Mormonism, and a friend who converted to Mormonism. 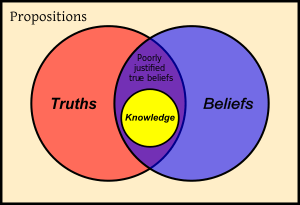 When we strive less to be right or wrong, we can have a very rich experience with people of all belief systems. Great post Jamie! Makes me understand your point of view a bit better. Previous PostPrevious At what point do you stop being polite? Next PostNext My 5 month Postaday2011 Anniversary.